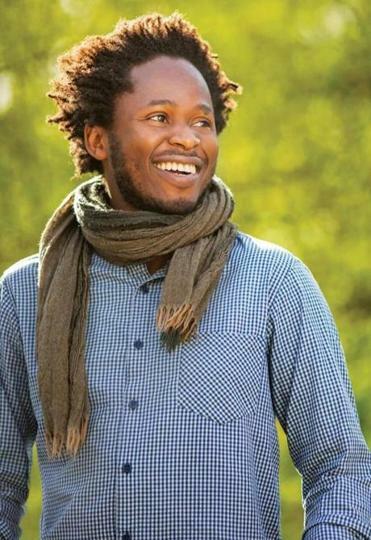 The writer Ishmael Beah moved back to Africa last fall, but not to Sierra Leone, the country where - as he recounts in his best-selling memoir “A Long Way Gone: Memoirs of a Boy Soldier” - he was a soldier in the 1990s. Instead, he moved to Mauritania, finding the vast stretches of desert there good for his writing. Beah will be in town March 18 as part of Lesley University’s Boston Speakers Series to discuss his first novel, “Radiance of Tomorrow.” The event is sold-out. BOOKS: What are you reading? BEAH: I’m reading J.M. Coetzee’s “Summertime.” He’s one of my favorite writers. What I love about his prose is that in one paragraph you learn so much, and you are hooked. I’ve read almost everything he’s published. BOOKS: When did you start reading his books? BEAH: In the U.S. when I was at Oberlin College. I was a political-science student, but I managed to read in my free time. I had so much access to books compared to when I was in Sierra Leone that I started reading voraciously. One of the first I read was Coetzee’s “Waiting for the Barbarians,” and I fell in love with his writing. The war in Sierra Leone is over, and the child soldiers have departed. But emotional recovery by the survivors is sluggish. BOOKS: When you got out of the army when did you start reading? BEAH: Not until I had the fortune of leaving my country and being exposed to free libraries, and I could just get a bunch of books. After I came out of the war, I was just struggling with how to live in a normal environment, and the idea of reading for pleasure did not appeal to me. Also, I come from another time when, because of a lack of resources, reading was not a pleasure but was more associated with homework. You didn’t read because you couldn’t afford to buy a book. BOOKS: You didn’t have any of your own books growing up? BEAH: No. It was very hard to have books. They were very expensive and hard to come by. If we were reading Shakespeare in school, say “Julius Caesar,” the teacher had the only copy. So you had to make friends with the teacher so you could go to her house to read it. And, of course, the teacher would watch you while you read because that was the only book. BOOKS: What was it like to be able to buy your own books? BEAH: It was very nice. When I arrived in the U.S. and had my own money one of the first books I bought was one that had a big impact on me as a boy, Robert Louis Stevenson’s “Treasure Island.” That book had stayed in my head for a long time. It was the first book I read with a character that was a boy. Because I did not grow up with books, I love them a lot. I don’t like to lend my books out. I’d rather buy another copy and give it to you. If I do loan a book, I have a logbook in which I will write your name and the date you took my book. BOOKS: When you came to the U.S., who were some of the authors you discovered? BEAH: Because I come from a former British colony, I had already read a lot of Shakespeare and a few African writers. When I got here I read American writers, like Hemingway, but also the African writers I had known of but never had access to. Eventually I also discovered Italian writers, such as Italo Calvino. When I was in Germany I asked around and people told me about Wolfgang Borchert. I’m someone who’s always trying to discover new things. BOOKS: Who are some African writers you have discovered who are not well known in the United States? BEAH: Mia Couto from Mozambique, Hisham Matar from Libya, and Nuruddin Farah from Somalia. There are many more writers. The problem is many African books have not been translated into the U.S. market. Most people only know Chinua Achebe’s “Things Fall Apart,” which is a good one, but there are many more interesting African books. Follow us on Facebook or @GlobeBiblio on Twitter.